This dish is simple and easy to make. It is a great meat replacement option for vegetarian menu. Add the oil to the eggplant and bake in the oven for 15 minutes at 180 degree Celsius until golden. Add the KNORR Pronto Napoli Sauce, pesto and cheese. Sprinkle over breadcrumbs and bake for a further 15 minutes or until cheese is golden. 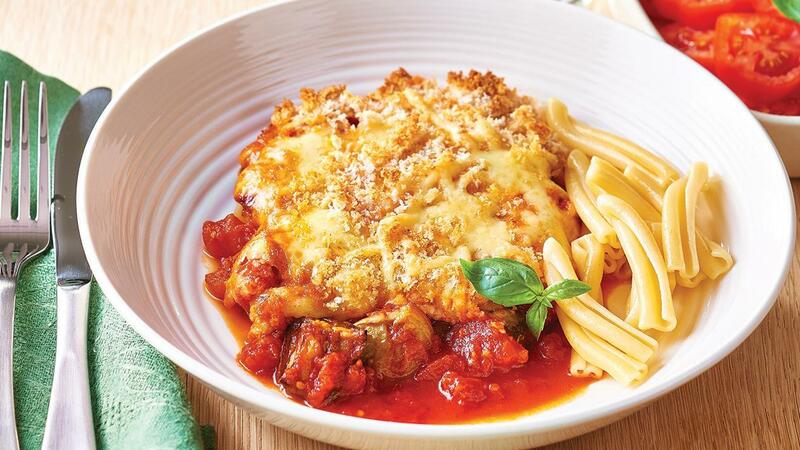 Serve with tomato and basil salad, pasta.